Tim Casserly Guest Speaker - Workshops at Hunter Mountain. 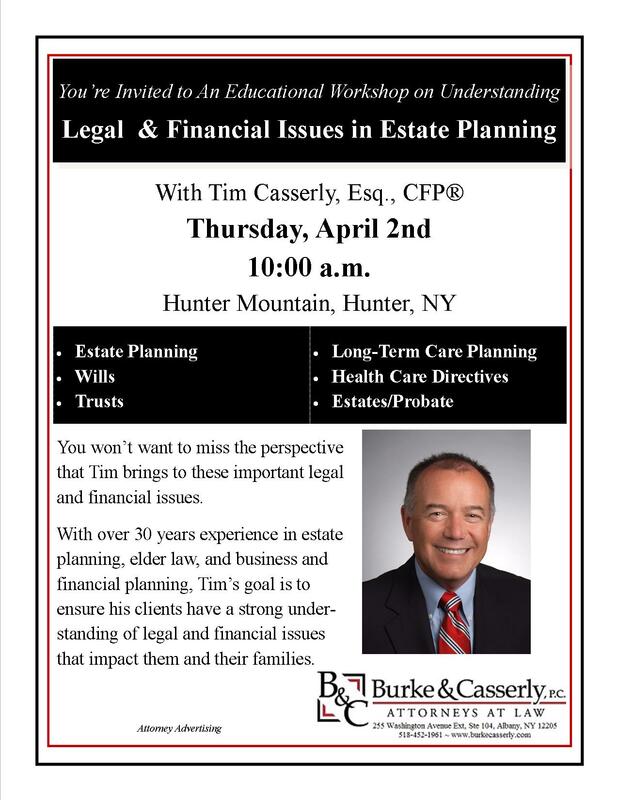 Tim Casserly will be conducting an education workshop on "Legal & Financial Issues in Estate Planning" on Thursday, April 2nd at Hunter Mountain, Hunter, NY. Click here for more details.